What’s good? This summer’s completely rubbish weather has been the perfect test of this waterproof laptop bag. There have been rides this year where I had given up all hope of my laptop and camera ever working again. Surely the waterproofing had been breached? Not so far. The combination of the roll top, Velcro and welded tarparlin construction has been resistant to everything. 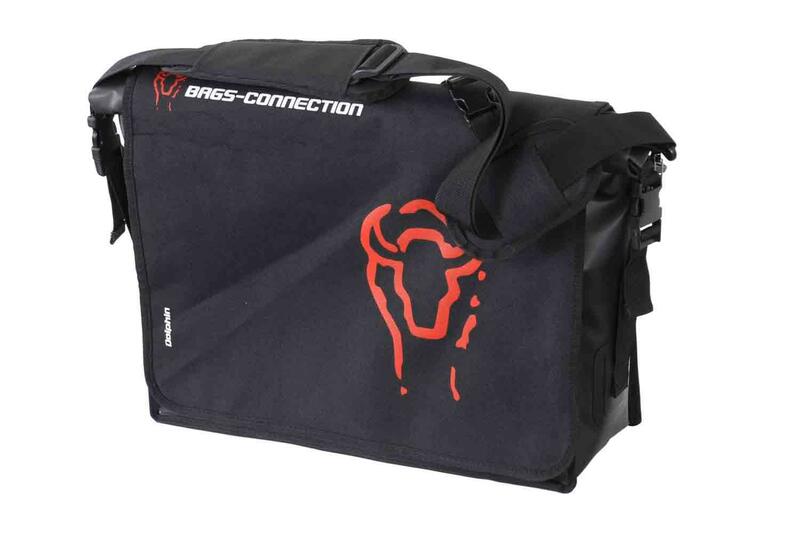 The bag has a seven litre capacity and with integrated laptop sleeve, and pockets inside. The shoulder strap also has an adjustable hip strap that stops it moving about. The shoulder strap can be swopped from left to right depending on your preference.